It was a gamble that 30-year-old Fuseini Zaanyeya realizes was worth taking. 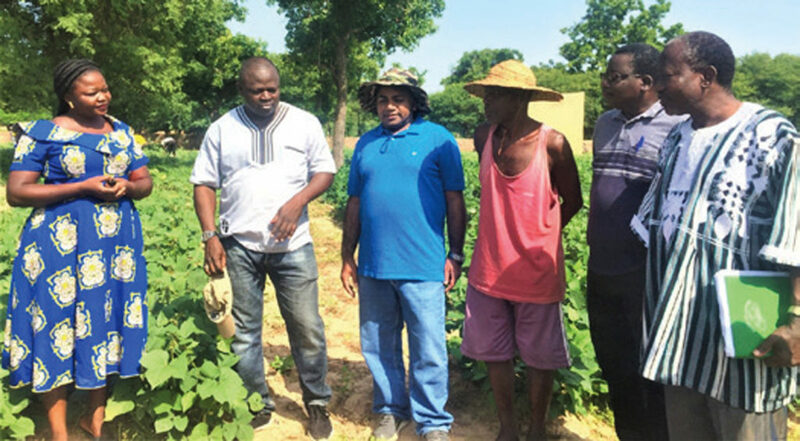 For, quality healthcare and primary education are well within reach since he returned to agriculture under the third phase of Tropical Legumes Project. TL III aims to boost legume production in drought-prone sub-Saharan Africa and Asia. Before starting under TL III, Zaanyeya had migrated to the Ghanaian capital city of Accra in search of work, leaving the farming community of Gberimani-Tibogu behind. When those efforts proved to be in vain Zaanyeya returned to his hometown, Tolon. Enthused by a new tractor and renewed hope in agriculture, courtesy of the project, he took up cowpea production. For four years now he has chaired a farmers’ group engaged in cowpea seed business with Heritage Seeds Company. Stories like Zaanyeya’s echo from several households of West and Central Africa. 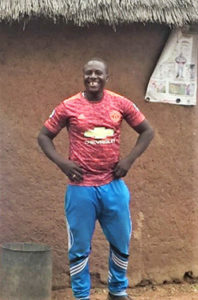 “With improved yield and higher income, I can now afford to pay school fees and hospital bills for my children,” a beaming Mr Zaanyeya told the TL III team, which visited West and Central Africa in September. Funded by the Bill & Melinda Gates Foundation, TL III is being executed in Burkina Faso, Ghana, Mali, Nigeria, Ethiopia, Tanzania, Uganda and the Indian state of Uttar Pradesh to improve production of chickpea, common bean, cowpea and groundnut. 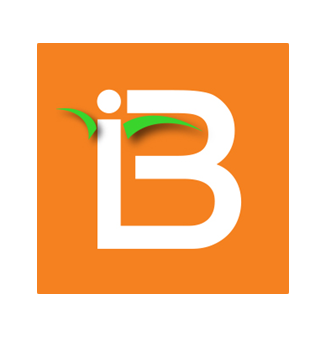 It is being jointly implemented by ICRISAT, International Centre for Tropical Agriculture (CIAT), International Institute of Tropical Agriculture (IITA) and national partners in target countries. During the first two phases of the project, 163 new seed varieties were released to replace older variants and seed production increased 221%, generating over US$ 1.3 billion in added value. 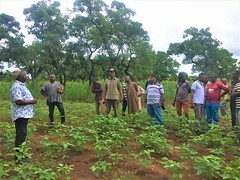 In Bichi, Nigeria, the TL III team learnt of 20 young farmers producing Samnut-24, an improved groundnut variety while working with the IITA and Bayero University (Kano, Nigeria). For young farmers like Zaanyeya, inter-organizational partnerships built across the value chain under the project are crucial. “This arrangement not only allows us to have quality seeds but also empowers farmers with higher yield and improved income,” adds Ms Noba Francalini, owner of Epam Seeds in Ouagadougou, Burkina Faso. During this visit, the team also learnt of increased participation by women in strengthening seed systems. Self-help initiatives like Village Savings and Loans Associations (VSLA), that resulted from a partnership between TL III and the NGO Social Enterprise Development, have increased access to credit, seeds and land for women. The team noted that increased participation of women boosted efforts to replace a dated Chinese variety of groundnut, ‘Shi Tao Qi’, with newer varieties developed under TL III. Under TL III, at least 50 resilient and productive legume cultivars with farmer-preferred agronomic and market traits are planned for delivery. For more on ICRISAT’s work in Nigeria.